Whether you’re a hard-core sailing fan or a wide-eyed newbie, the Extreme Sailing Series™ has something for everyone. The free to enter public Race Village puts fans right at the heart of the action - racing their catamarans at full throttle just off the waterfront, the sailors can hear the roar of the fans, who experience the competition up close like never before. Fans around the world can follow the racing for free online through live video streaming and dynamic SAP Sailing Analytics. But what exactly can you expect to see on the water? Here is a quick guide. Depending on the number of boats and wind conditions, Race Management may decide to run racing over different shaped courses around a number of large, inflatable coloured buoys. Races can vary from full fleet and group racing to match racing, and can take place in the ‘stadium’ or out in the open water. 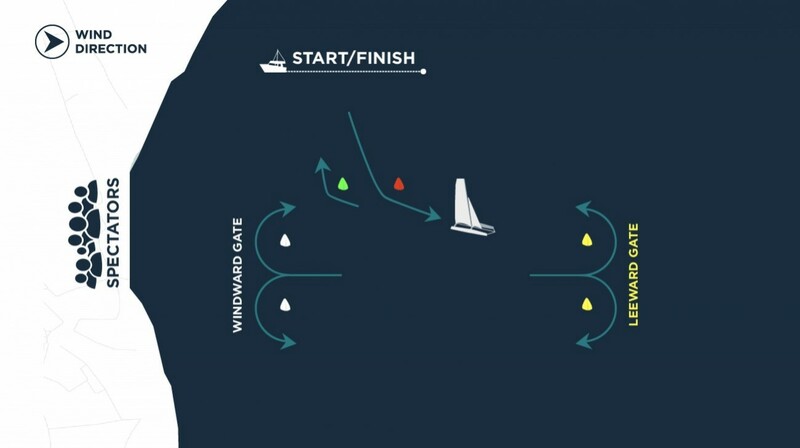 Teams use all of their tactical prowess to out-maneuver each other, particularly during mark roundings, and can call a protest on the water if they think another boat has infringed the rules. Umpires are on the water and, like football referees, they can give out penalties, which are normally a penalty turn (a costly manoeuvre). If the umpire thinks no foul has been committed they blow a whistle and raise a green and white flag. If there is a really bad foul the umpires can show a black flag resulting in instant disqualification.